Fig. 1. 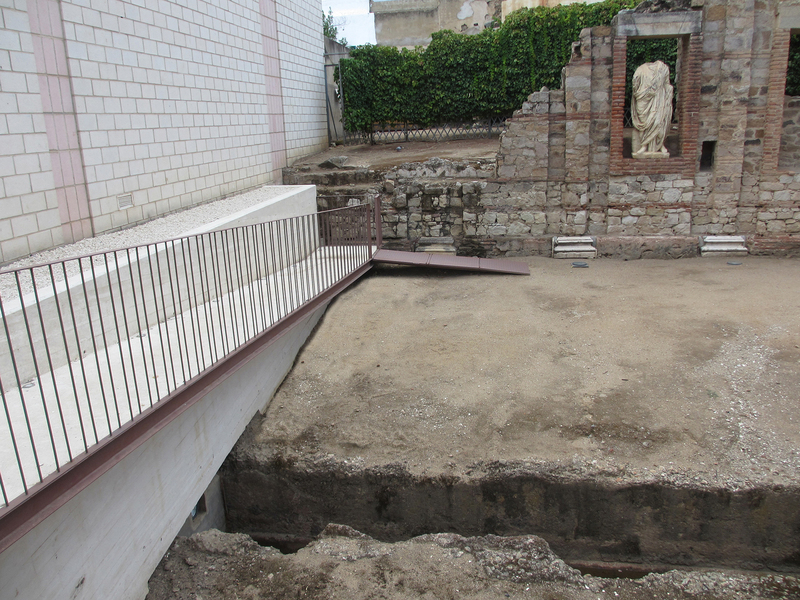 Architectural structures open to the public in the Forum Portico (Mérida, Spain), with modern ramp (T. Barrientos). Fig. 2. 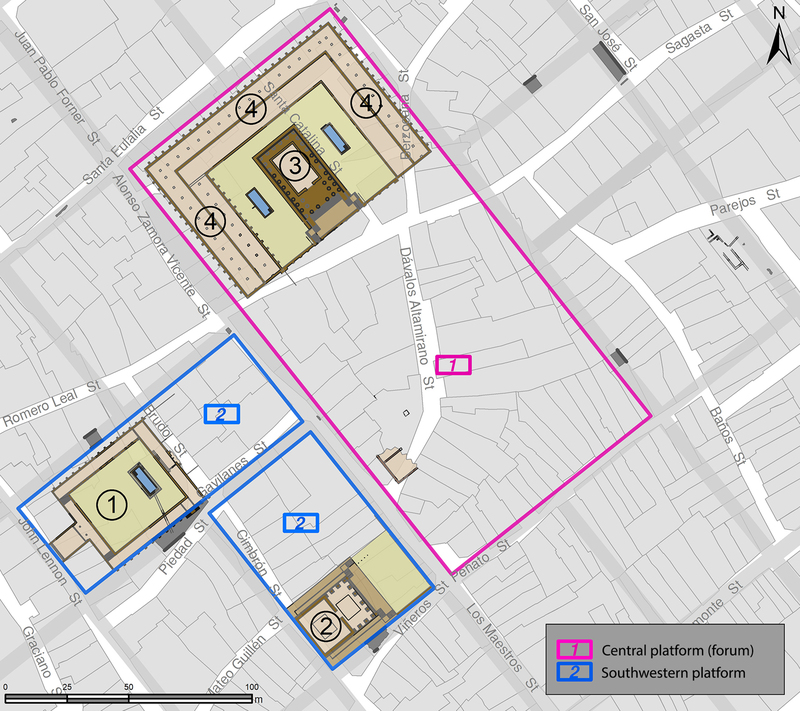 Ground plan of the Mérida forum area in the Augustan period: 1, campus / schola iuvenum; 2, temple; 3, temple; 4, gallery (modified from Ayerbe et al. 2009b, fig. 2). Fig. 3. 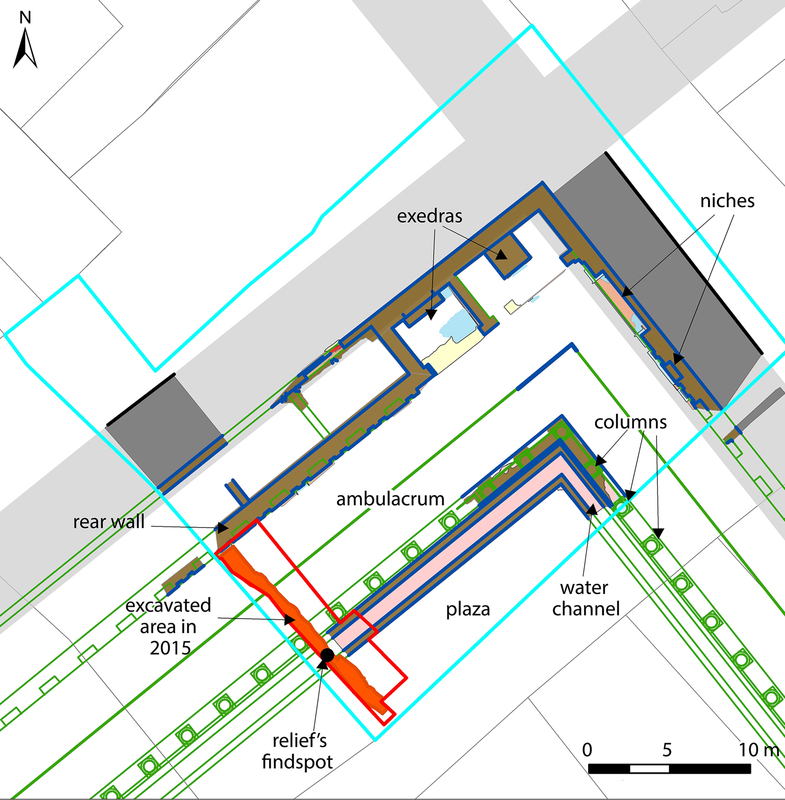 Ground plan of the architectural structures open to the public in the Forum Portico (T. Barrientos). Fig. 4. Relief fragment with a griffin head from the Forum Portico, right side. Consorcio de la Ciudad Monumental de Mérida, inv. no. 12020/372/1 (C. López). Fig. 5. 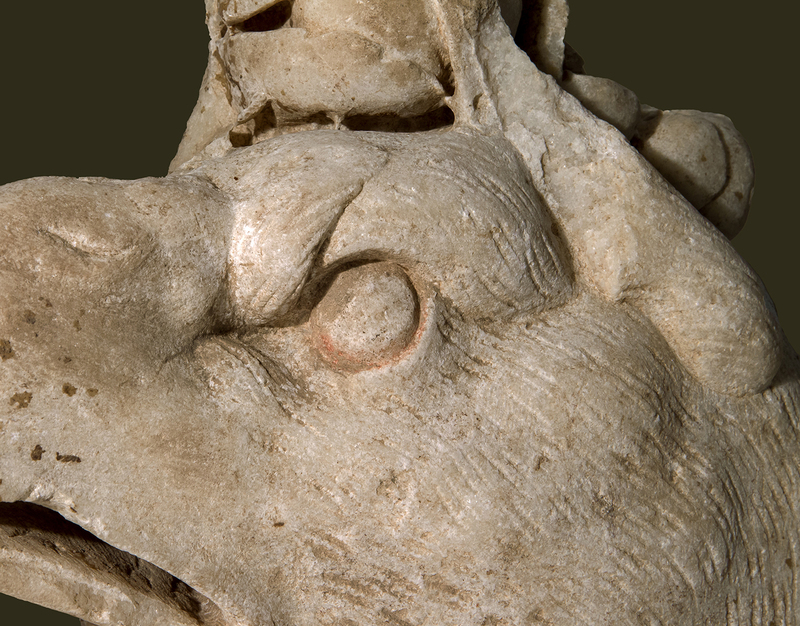 Relief fragment with a griffin head, detail of eye (C. López). Fig. 6. 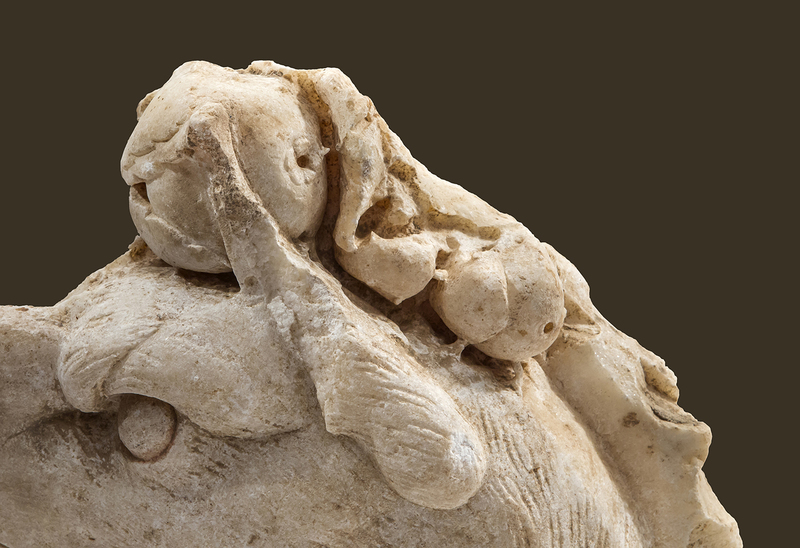 Relief fragment with a griffin head, detail of pieces of fruit above the head (C. López). Fig. 7. 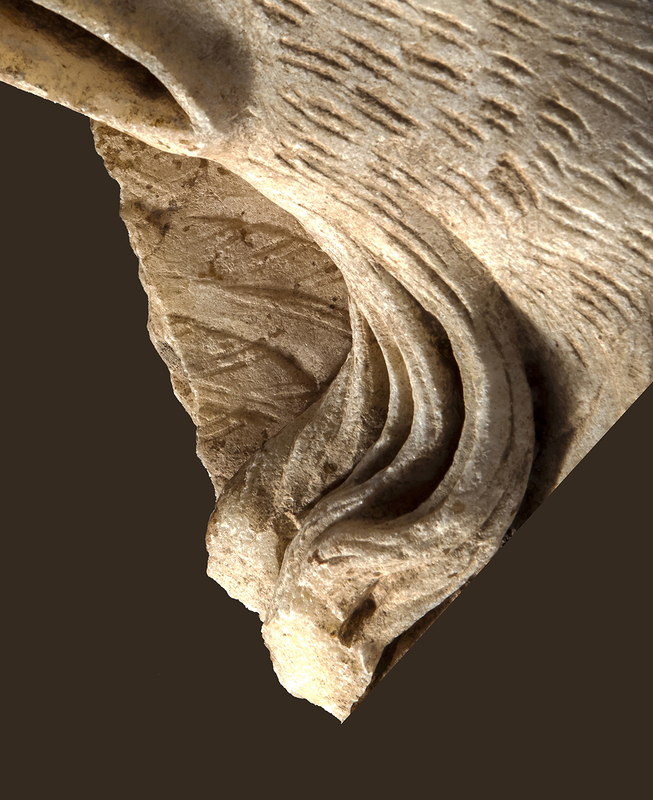 Relief fragment with a griffin head, detail of beard and wing feathers (C. López).